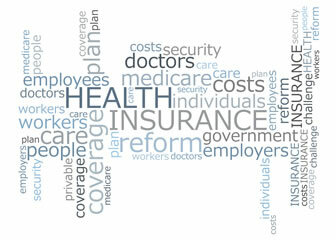 Healthcare management is an umbrella term that covers the entirety of the functions of the medical profession. These healthcare management programs are very suitable for nurses, physical therapists and other medical professionals who desire to give a boost to their career. By earning certificates in healthcare management, they can move into management positions within various healthcare units. Some of these programs are meant for medical professionals who are already working in lower-level management positions and wish to better jobs. On the other hand, some of the certificate programs are useful for upper-level management professionals to help them stay abreast with the latest management trends. An associate's degree in healthcare management spans over two years. It provides students with knowledge on finance, leadership, and organizational skills. Completing this program enables students to go for a bachelor’s degree program in healthcare management. This is one of the most prestigious programs in healthcare management that can lead students to highly rewarding jobs within the medical sector. Earning an MBA degree in healthcare management enables students to get to the top level managerial positions in the medical facilities. This healthcare management program is the highest level of education students can go for. Earning a PhD degree provides students with in-depth knowledge in this area of specialization. Students with these degrees can get into teaching profession as well as get into top administrative roles related to policy making as well. There are a number of online colleges that offer programs in healthcare management. Compared to the onsite trainings, online programs are more flexible and cost effective. They allow students to manage their studies distantly and at any time that suits them. Online healthcare management programs are highly beneficial for the ones who are already involved in full-time or part-time jobs. With a bachelor’s degree in healthcare management, students gain knowledge and skills to perform a variety of tasks. They learn about various customer service responsibilities, medical paperwork, management issues, and administrative duties. Students often complete an internship as well, which gives them hands on experience of the field. Some of the major courses offered in the degree program are as follows. Become familiar with your healthcare discipline: Healthcare is a vast profession, requiring you will have to narrow down your particular area of interest. Look around to see what kinds of jobs are available: A quick search on the internet will give you a general know how of the job market. Do as many internships as you can: These experiences are invaluable to developing your career. Look for free online classes, seminars and workshops: This will help you broaden your knowledge horizons. Look for experience opportunities: There are several large healthcare organizations in the world that are always looking for ways to prepare the next generation of healthcare professionals. Some of these organizations are the World Health Organization, American Red Cross, PATH, etc. Try as many different fields as you can: Try to look for experience opportunities in different types of healthcare sectors. Build your way up: Think of your final goal, and move towards it one step at a time. If, for instance, you want to become a registered nurse, start off with a nursing assistant’s certification. What Job Titles Can You Have With a Degree in Healthcare Management? Hospital executives: These are responsible for running their facility smoothly and successfully, forming the backbone for hospital services. Group practice executives: They have a job description similar to hospital executives, providing patients with a positive healthcare experience through clean facilities and strong organizational leadership. Healthcare consultants: These professionals offer their knowledge and organizational skills to a wide range of facilities on as-needed basis. Home healthcare administrators: These individuals juggle the demands of patients, agencies, government, staff and financial auditors. Emergency Medical Services (EMS) administrators: They coordinate with hospitals and state agencies to ensure emergency medical help for the members of the community. Patient safety managers: These individuals take on one of the most important roles in the healthcare industry, making sure that patients are cared for in a manner that complies with all state and federal regulations. Where Can You Work with a Degree in Healthcare Management? How long does it take to get Healthcare Management Degree? The duration of your healthcare management degree will vary depending on the institute you select and also on your degree level. An associate degree in healthcare management takes around two years to complete. While a bachelor’s degree normally takes four years. For a master’s degree program, students need to spend two years of time. A doctorate program in healthcare management may take three to four years of time. However, the duration of an online degree program can vary as online programs offer more flexibility to students. The amount of time you will be required to invest in a healthcare management degree depends on your prior educational qualifications, along with the admission process, your work-status and the availability of courses. How much you can make with healthcare management degree? Q:With Healthcare Management degrees what sort of designations can I get at workplace? A:With Healthcare Management degree under your belt you can get designations such as Administrators, CEOs, Managers and Planners. A:You may get a teaching job with a health care management degree. However, there are specific teaching programs that you should consider studying to increase your employment opportunities in that field. Q:Are the course mentioned on your website accelerated healthcare management online courses? A:We have a list of online accredited Healthcare Management degree programs. Most of the institutes listed on our website are accredited with the Distance Education and Training Council (DETC) to offer online courses and with the Commission on Accreditation of Allied Health Education Programs (CAAHEP) to offer certified healthcare management degree programs. Q:What are the job prospects for a professional teaching with healthcare management degree? A:The employment outlook for teaching with a healthcare management degree is very bright. With a large population of students opting for this qualification, there is a huge demand for instructors in this field. Healthcare management is part of any recognized institutions curriculum. With the healthcare and the educational industry experiencing an upward trend, professionals with this qualification are going to be in demand. Q:What is the premise of the course on health delivery systems when attending accredited online healthcare management programs? A:Health delivery systems is one of the most important and informative course when attending accredited online healthcare management programs. This course is worth 3 credits and is an introduction to the basics of health information management. This course also deals with billing, administrative data, medical data and reimbursement which is essential in understanding this course. Prospective students are requested to search our website for an extensive list of institutions offering this course. Q:Health management degrees are offered at what levels? A:Healthcare management is a growing field that demands qualified individuals who have a thorough understanding of management concepts. Health management degree programs can be earned at all levels of post-secondary education. These include associate degree programs, bachelor degree programs, master's degree programs, and doctorate degree programs. Apart from these programs, health management is also offered as a specialization area in short courses and certificate programs. Q:How can a healthcare management degree prepare me for management job positions? A:A healthcare management degree will equip you with knowledge about management concepts and managerial skills. Since the management sector in healthcare industries is becoming more important, the need for healthcare managers is on the rise. You can earn a degree in this field and look forward to working as a manager in a hospital, clinic, or any other healthcare setting. Q:What can you do with a Healthcare Management Degree? A:After earning a healthcare management degree, you may be able to pursue an advanced management position such as a health service administrator or a medical manager. According to the United States Bureau of Labor Statistics (BLS), the annual median salary of medical and health service managers was $88,580 in 2012. Q:What is healthcare management degree? A:Healthcare management degree programs are designed to equip students with the knowledge, skills, and tools necessary in order to seek managerial positions in the healthcare industry. Healthcare is one of the fastest growing industries, and demand for managerial positions is high. The degree will enable candidates to be able to plan, direct, and coordinate medical and health services.